The head cleric of the Church of England says he’s perplexed by Christians who support President Donald Trump. 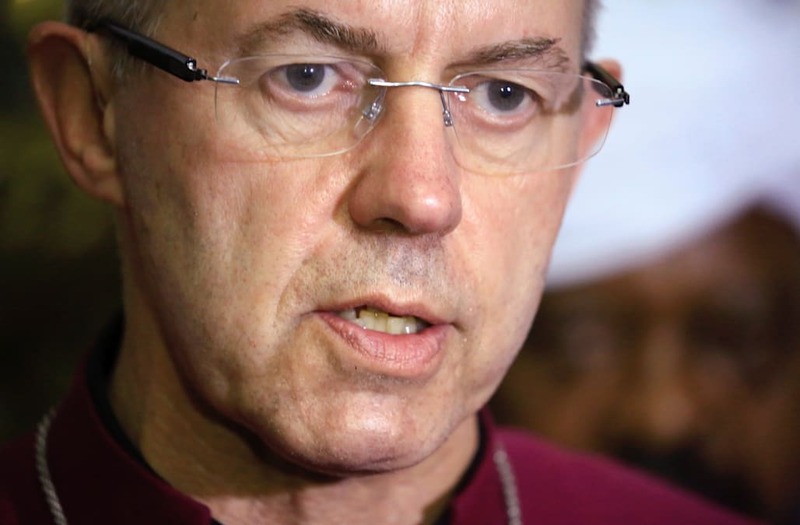 Most Rev Justin Welby, the Archbishop Of Canterbury, was asked by ITV’s Robert Peston on Sunday if he understands why fundamentalist Christians in the United States are so supportive of Trump. White evangelical Christians have been key part of Trump’s base, with 81 percent of them voting for him in 2016. A Fox News poll last month found 66 percent approve of his job, far higher than the president’s overall approval rating of 38 percent. Peston asked the archbishop if he would meet with Trump during his planned visit to the United Kingdom early next year. Welby said he would, but don’t read too much into that. Welby said he’s already been invited to a dinner with Trump, but odds are they’ll do little more than shake hands at the event.